Sailing is a sport in which the mental strength and physical ability of the sailor are pitted against the forces of nature. 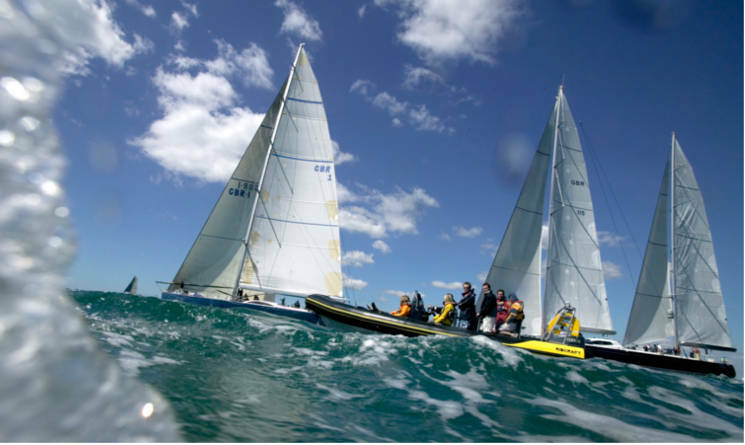 One of many reasons, we find The Solent a great base for any Teambuilding events from one of our RIB Blast adventures to corporate hospitality at one of this years amazing sailing events such as Aberdeen Asset Management Cowes Week or the America’s Cup World Series. The power required to manoeuvre the boat around the course ensures sailing builds strength and endurance in the arms, shoulders and chest muscles. While sailing does improve power, it also aids the ability to think strategically and tactically due to the challenge of having to constantly react to changing conditions. This means it is a sport in which people of all ages can compete against each other on equal terms. In the 1964 Olympics in Tokyo, Sir William Northam won gold in the 5.5m class when aged 59. Spending time on the sea has been found to help people relax as the salt in the sea air helps balance the levels of serotonin, a chemical produced by the body associated with mood and stress. Another great benefit for teams of colleagues or clients to get together. Out of the office, on the water the body will allow for barriers to break down, friendships to build and creative ideas to flow. Sailing is one of the best ways to get away from it all, leaving the daily grind of a hectic work life behind while enjoying the excitement of being on the water. Approximately 2.9 million adults in the United Kingdom are believed to participate in sailing activities. Disciplines using sail power include yachting, dinghy and windsurfing, while those using mechanical power include personal watercraft, motor cruising and inland waterways. There are more than 1500 sailing clubs in the UK, with each running Royal Yachting Association (RYA) courses for people of all ages and abilities. For beginners, the RYA’s Start Yachting and Competent Crew courses provide the perfect introduction to the sport, ensuring you learn the correct techniques in terms of sail handling, rope rigging, meteorology and helmsmanship. The sport of sailing gained considerable popularity in Holland about 400 years ago and, shortly after the restoration of the monarchy in the United Kingdom in 1660, King Charles II introduced sailing as a sport. International yacht racing began in 1851 with the America’s Cup and sailing was part of the first Olympics in 1896, but heavy winds saw the programme cancelled. The breeze had died off by the time the Olympic flame arrived in Paris four years later and the sport has been contested at every Games since. Women have always been allowed to compete in Olympic sailing with men, but in 1988 separate sailing events were introduced exclusively for women. The classes of boats have changed over time as yacht design and technology has evolved. 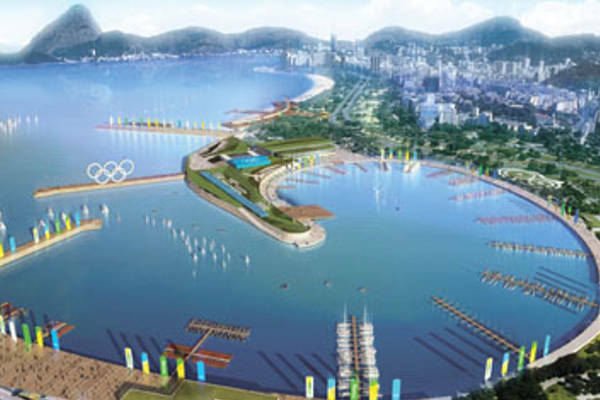 The mixed-gender Nacra 17 class will make its Olympic debut at Rio 2016.